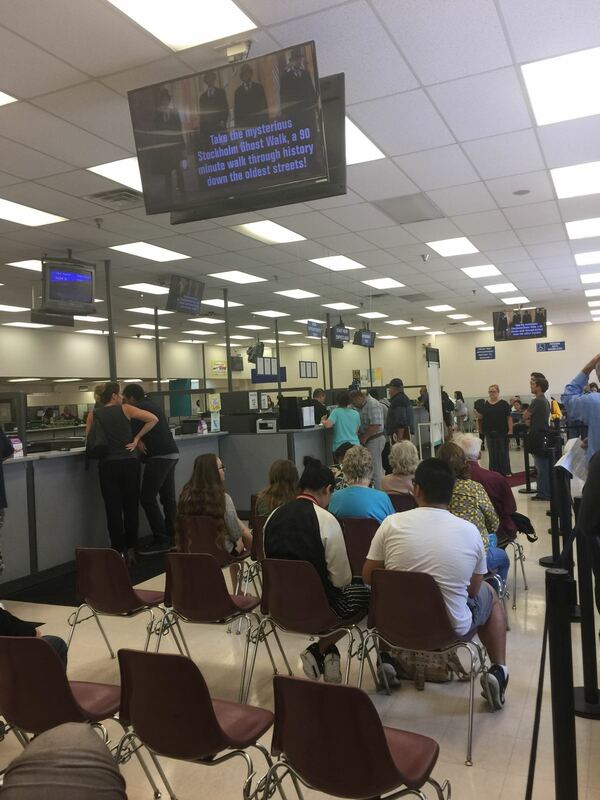 DMV Appointment is your first step to get a Driver License in United States. While every state has slightly different practice, we’ll focus on how to get a DMV appointment in California. I also want to share my experiences. Firstly, you have to check your local DMV office. 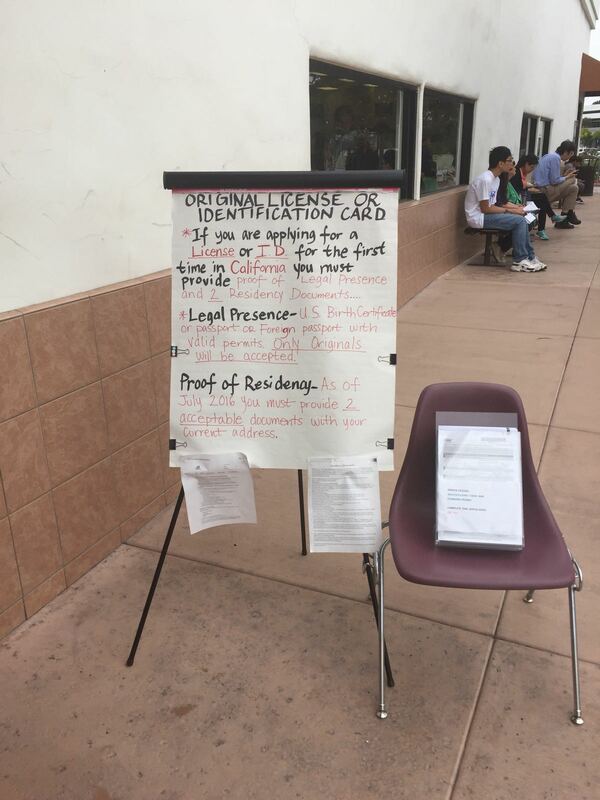 You can do it either visiting the official DMV website or just you can check https://www.dmvcalifornia.us/dmv-offices link in our website. This is important in terms of logistics. Because if the local DMV office is closer to you, you can get there easily. But keep in mind that in California State, DMV offices issue more than 2 million driver licenses per year. Some of them are renewals. This means, it is better you check the local DMV offices work load. You have two options. 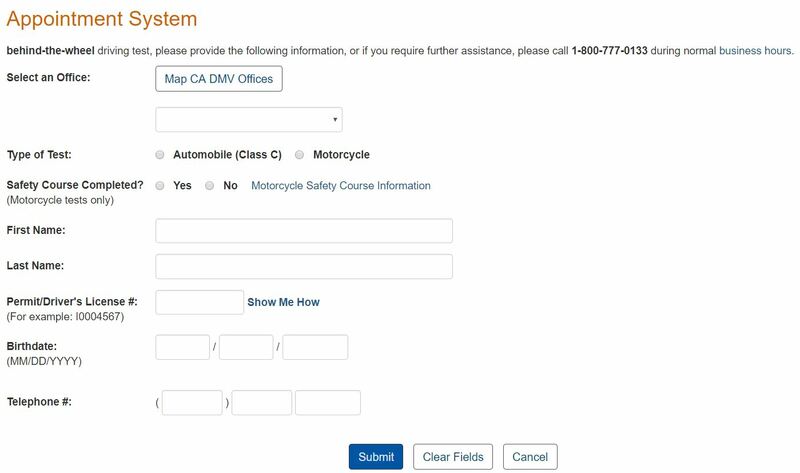 You can either visit local DMV office nearby or you can get an online appointment from DMV website. DMV official website is too complicated. If you are not good at browsing on the internet, here is a quick link for you to get DMV Appointment. As you can see on the snapshot, there are four options to select. So if you don’t have a driver license, you’ll click on “Office Visit Appointment”. In this section, The Appointment System will ask you some questions. The first thing is to choose local DMV office. You can choose any of the office in the borders of California. But the nearest one is the ideal one typically. Tip: Check at least 3 different offices nearby. Their work load is different. While one of them may give an appointment 1 month later, the other one may give to a closer date like 10 days later. So choosing this option gives you easy access. 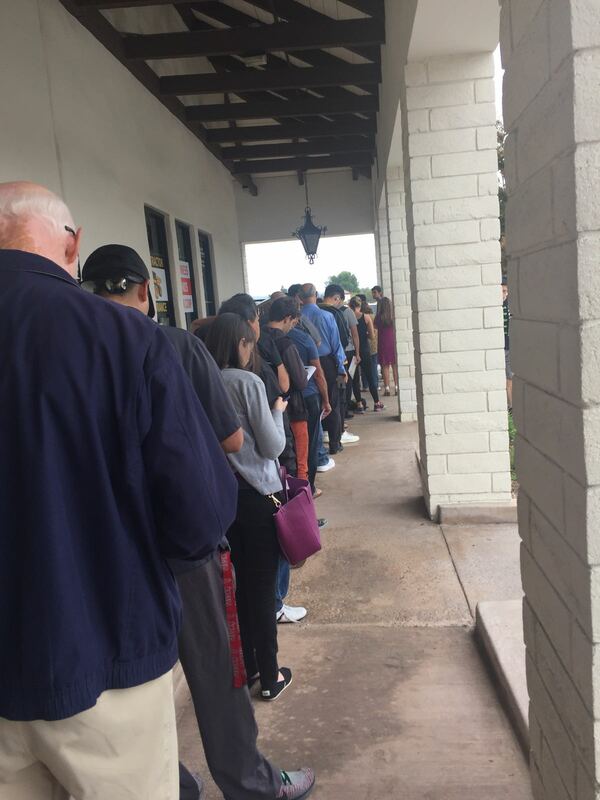 There are two lines in DMV offices. One line is for people who come without appointment. I’ll come to that later. The other one is for people who get an online DMV Appointment. If you don’t like to wait in line for a long time, your choose should be “Online Appointment”. Other options are “Behind the Wheel Drive Test.” I’ll come to that later also. If you are a commercial driver, then choose the third one. You can also check or cancel your previous appointments if you forgot the exact appointment date. You only need to enter your first name, surname and phone number that you have entered while you took your online appointment. It will show you the appointment date. It is that simple. Here is a snapshot of “View or Cancel Appointment” tool. Normally, if you are lucky, you’ll get your online appointment in three weeks time. If you don’t want to wait that much, you can go to nearest local office. 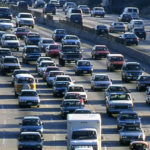 So you think that you are in urgency and need your Driver License as soon as possible. You can visit local office. But you have to consider the long waiting time. It may take up to 3 to 4 hours before an officer finally check your papers. TIP: DMV office hours start at 8 a.m. So It is better you go to office at 7.30 a.m. Otherwise probably you’ll wait on the queue till 1 p.m.
You also choose a pair of comfortable sports shoes that will make your feet less ache during your long waiting period. So the main advantage of online appointment, you are not waiting in this queue. There are two entrances in every local DMV office. One is for people who come without appointment. The other one is for people who did an online appointment. The officers are taking one person from never ending queue and one person from online appointment queue. TIP: Check your papers before coming to DMV office. Otherwise you need to print them out again and it will cost you time and money. You have to have original photo ID and proof of residency. What does this mean? 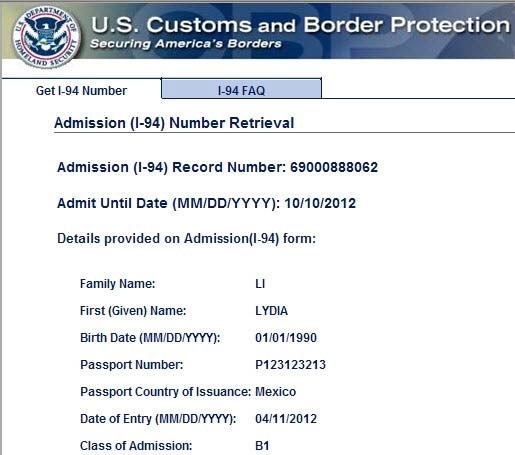 If you are a US Citizen, you can show your birth certificate or Passport. They only accept the originals of the documents. If you are not a US Citizen, your foreign passport with photo ID will work for you. Your current address must be written of these documents clearly. If you are a foreigner and you have F1, F2, B1, B2 or similar visa types, then you should additionally bring related papers with you. TIP: If you are an F-1 student, don’t forget to bring your original I-20 document and I-94 document. You can download your I-94 status from this address. Print it out and keep a copy with you. When it is your turn, an officer will check your papers. If your papers are okay then you’ll get a queue number. The second wait time is around 45 minutes to 1 hour. So if you go to office as early as like 8 a.m., this means you’ll wait till 11 a.m. So after that you need to wait 1 more hour. You can follow your number from the boards. When finally it is your turn, another officer will make a quick eye test for you. There are small white boards behind the officers. Numbers or letter are written on these boards. If you use lens or glasses, it is better to inform the DMV officer. Otherwise if you fail the eye exam, you’ll waste your day. After the exam and other procedures, you’ll give finger print and they’ll take your photo. INFO: This photo will be final and you have no chance to change it later. It’ll appear on your Driver License or ID card. So better go DMV Office well dressed, shaved and with make-up. Or get ready a horrible picture on your DL. Your final stage will be written exam. You are free to choose any of the computers. The exam is ready for you. You just need to enter your finger print to access the exam. It will automatically start. You’ll learn whether your pass or fail at the end of online written exam. If you pass, your next step will get an DMV Appointment for Driving test. 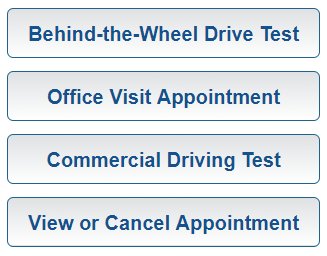 You need to wait at least 24 hours to take an Behind the Wheel Drive Test appointment. After you click on the correct button, this screen will come out. All you need to do is fill out the form and wait your Driving Test date. If you pass the written test, DMV will give you a temporary permit. Your permid ID is written on this paper. You should enter it correctly to the form above to get an appointment. What is the minimum age in California for driver license? Typically, if you are at the of 16, you can obtain a driver license but the age may vary from state to state. While minimum age to obtain a driver license is 14 years 3 months in South Dakota, it is 17 for New Jersey state. 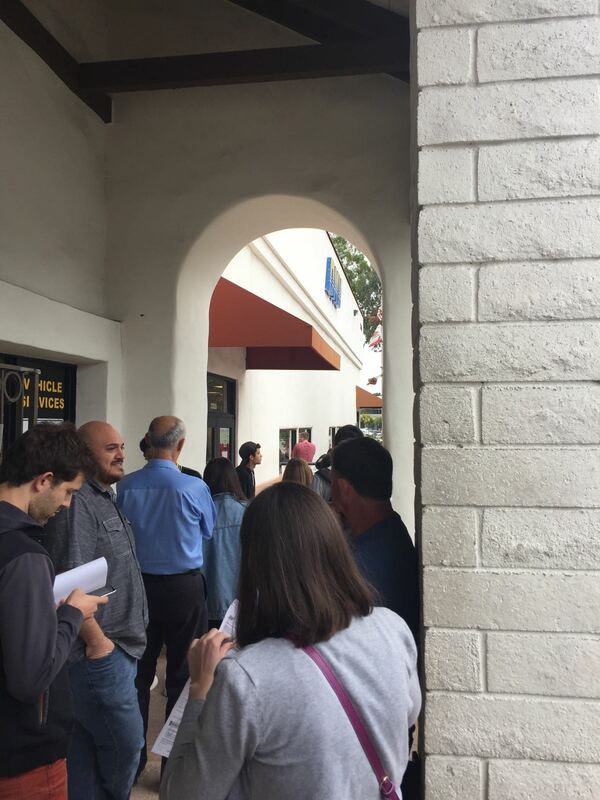 Before getting an DMV appointment in California, you should know that the minimum age in California is 16 but there are some restrictions for minors. First of all, a driver license holder who is at the age of 16, can not drive any passenger below 20 years old. Also, it is forbidden for the restricted driver license holders to drive from 11 p.m. to 5 a.m.